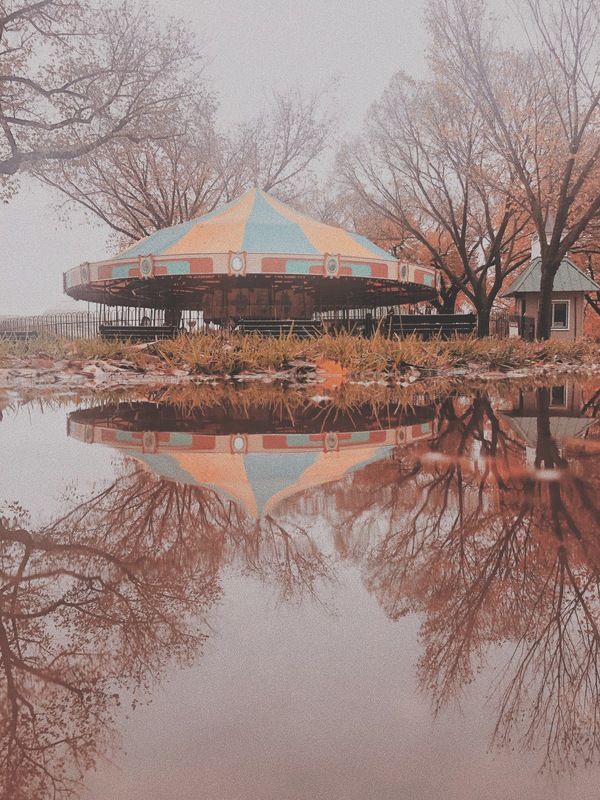 Taken on a misty autumn day from the reflection of a puddle, this photo captures the enchantment of the carousel. Bella calls this style of photography, “Puddle Pics” and continues to experiment with angles, equipment, and filters. We’re looking forward to watching this creative eye explode. Thank you Bella for the submission. If you have a photo that you would like to submit, email it to Photo@ColonialRoads.com. Please be aware that by submitting, you are acknowledging that you own the rights and that all rights to any form of media are waived upon submission.